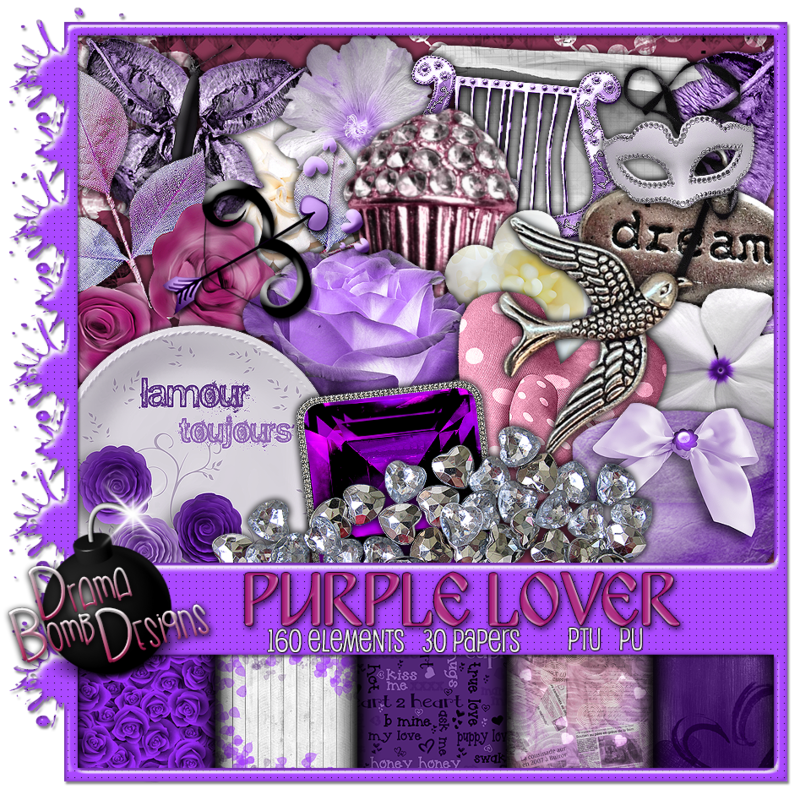 Drama Bomb Designs: New kit "Purple Lover" available now! New kit "Purple Lover" available now! My brand new kit is filled with 160 elements and 30 papers. You can pick it up at PFD or Scrap Candy now.